According to technology research firm Gartner Group, technology spending is expected to grow to $3.7 Trillion dollars in 2018. Communications Services ($1.387 billion) and IT Services ($931 billion) make up the majority of spending. In contrast, Enterprise Software and Data Center Systems are the smallest categories of spending expected for next year. Shifts in IT spending from Data Centric to Cloud Computing change the landscape for buyers, vendors and technology solution providers alike. Here are top Technology Trends you will hear about in 2018. 2017 was a year full of data breaches and ransomware. According to a 2017 Cost of Data Breach Study by the Ponemon institute, the average cost of a data breach in 2017 was $141 per record lost. Consider how many customer, prospect, employee, member or supplier records you may have within your organization. With the risks so high, expect Cybersecurity to be top of the list of Technology Trends for most companies next year. According to Forbes, 80% of IT budgets will be committed to the Cloud. Software as a Service (SaaS) solutions will help line-of-business managers from Sales, Marketing, HR and Finance become more productive. Communications and Collaboration applications including Email, VoIP and Web conferencing solutions will connect employees across companies and supply chains. Infrastructure as a Service (IaaS) will host a range of solutions including websites, online backup and more. The utility model, or paying for usage, appeals to businesses replacing technology capital expense (CapEx) for subscription-based operating expense. As the “everything as a service” model gains in popularity, more companies will adopt fixed- priced managed services contracts. Rather than waiting until an issue arises, the managed service delivers proactive IT service for on-premise and cloud-based systems. Technology research firm IDC predicts Software Defined Networking to top $8b in 2018. As more companies rely on technology for communications, customer experience and remotely hosted cloud solutions, cost-effective network performance becomes critical. Increased cost savings combined with improved connectivity make Software Defined Wide Area Networking (SD-WAN) a popular choice for companies expanding to multiple locations or those reviewing their networking expense. The technology industry is known for its infatuation with the “New, New, Thing.” Many technologies will impact the buzz meter in 2018–Big Data is one of them. Standards for collecting information and connecting the dots between demographics, geographics and other insights begin to provide companies both small and large competitive advantage. Artificial Intelligence (AI) in the form of process automation, chatbots and other computer-to- computer conversation and learning will creep into the technology stack in 2018. You may find AI emerge in popular productivity applications throughout the workplace. Companies wanting to stay on the edge of technology will turn to Digital Transformation to fuel growth and efficiencies. Expect large businesses to acquire their digital counterparts, while small business will deploy technologies to improve customer experience and ensure employee productivity. BlockChain or Distributed Trust technologies will go beyond Bitcoin and other distributed ledgers to drive efficiencies in select industries including Healthcare and Financial services. Blockchain technology uses encryption to link a continuous series of records. By securely confirming agreement to complex transactions, BlockChain technology will begin to rattle in 2018 for many larger organizations. It may take more time before this technology applies to small and medium businesses. Internet of things (IoT) and other smart devices will emerge in consumer and business technology markets. From security systems to smart cities expect more and more connected devices to contribute to efficiencies from the factory floor to the warehouse door. 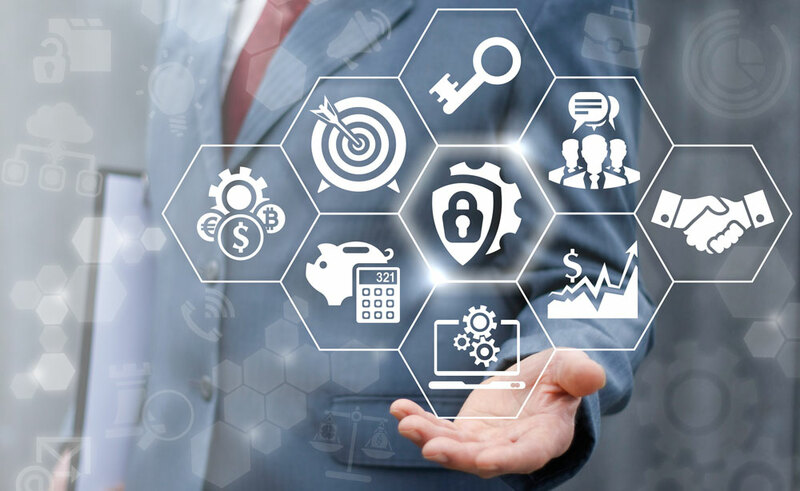 As technology becomes a greater part of our business operations, it is more important than ever to ensure we have secure and reliable business systems. IF you have questions about how your business can benefit from emerging technology trends, contact your technology advisor today.